As Charles Dickens wrote and our sketch writing team realized, “It was the best of times, it was the worst of times. It was the age of foolishness, it was the epoch of belief…”Â Put down your phone, grab a locally sourced cold-press coffee, and see a show about millenials, modern technology, and avocado toast, and why we truly are living in the best and worst of times. 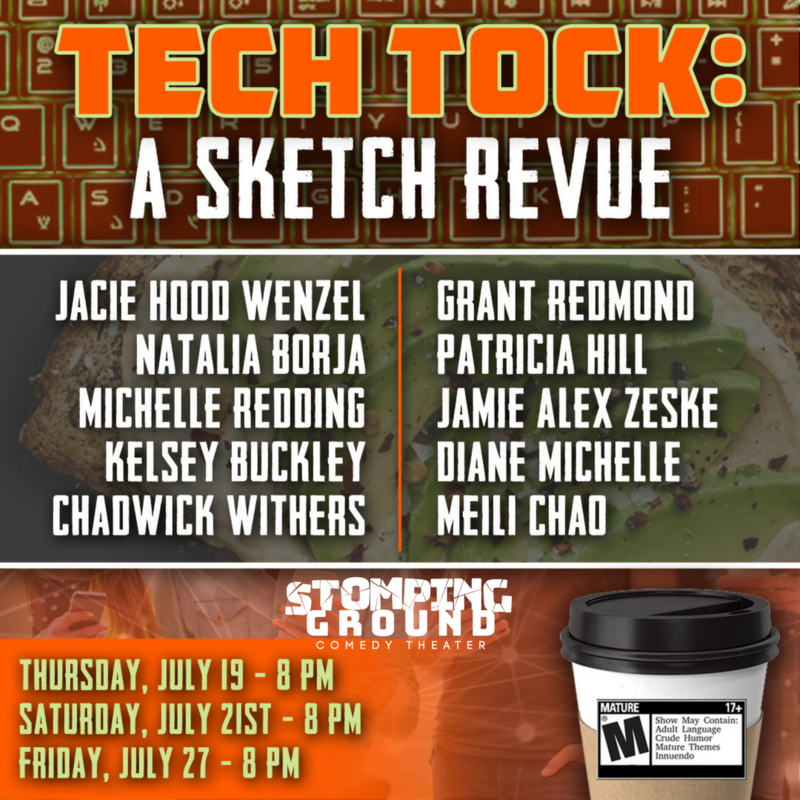 Stomping Ground Comedy brings you the first sketch revue to hit our stage. Songs and scenes written by Michael Corbett, Natalia Borja, Jacie Hood Wenzel, Michelle Redding, and Jeff Poteat. StarringÂ Natalia Borja, Jacie Hood Wenzel, Michelle Redding, Chadwick Withers, Patricia Hill, Kelsey Buckley, Jamie Alex Zeske, Diane Michelle, and Grant Redmond with Musical Direction by Meili Chao. This show is rated 18+/M. Stomping Ground is BYOB. Seating begins 15 minutes prior to the start of the show.